This 3-In-1 Emergency Charger Generator brings what you need in dire situations. It’s solar powered, with hand crank function, that comes with a flashlight and radio. It’s everything you need in times of outages from natural disasters. 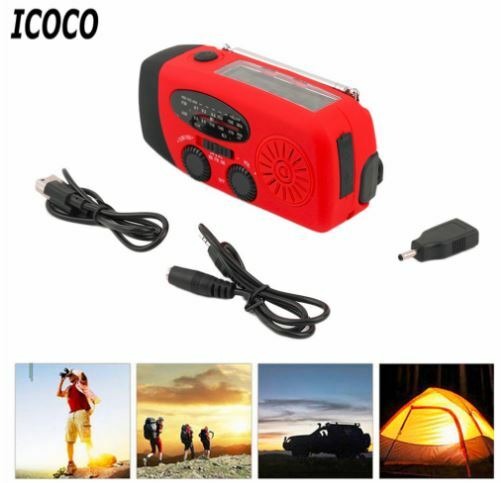 Get your 3-In-1 Emergency Charger Generator Solar Flashlight With Radio. Order it here! A must for an emergency, be sure to have this 3 in 1 Solar Flashlight Charger AM/FM weather radio with your family. Be updated with the latest weather situation and be informed to avoid hazards in your area. No electric power? No problem, thanks to the 3 charging methods. Recharge the powerful 1000mAh battery through the USB cable, solar panel, or manual hand crank. A low battery phone can be life-threatening, since you need it to access online, to call, or to send text messages. Don’t ever let your phone run out of power when you need the most. Just plug your phone and even other electronics into the USB port for some extra power to make that important call or text. Weather and natural disasters like hurricanes, tornadoes, rainstorms, cyclones, fires can be devastating. Having this 3 in 1 Emergency Weather Radio Flashlight with charger can help keep your family safe. The sturdy design is also water-resistant so it can withstand even the harshest of situations. You don’t want to be caught in darkness since the dark can bring you down. Darkness can make you helpless, at home or even in the middle of the road. With the 140 lumens built-in flashlight, you can cut through the pitch black darkness so you can maximize visibility. The Mobile Rechargeable Radio allows you to be ready at all times. 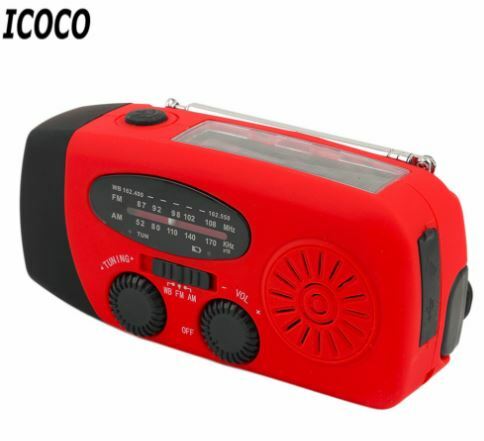 This lightweight AM/FM/NOAA radio is your hassle-free way to get the most important news updates in times of power outages in bad weather. You can just store it in your trunk, backpack, suitcase, toolbox. Carry it by hand with its attached lanyard. Since its just small in size, you can bring the radio in case of emergency. It can likewise be attached with its sturdy clip, in case you need to be on the move. Take note, the frequencies NOAA, AM, or FM allows you to receive different channels in different places. On the radio’s antenna performance, it usually depends on the availability of station broadcasts in the specific time frame, frequency. If the station doesn’t broadcast, then the radio does not receive the signals. Be always ready anytime, anywhere. Order your 3-In-1 Emergency Charger Hand Crank Generator Flashlight With Radio. Get it here.